Before the dental crown was invented, teeth that became damaged or decayed had to be extracted. A dental crown’s purpose and general function is to preserve your teeth and your tooth roots, even after significant damage or decay. At Bozeman Dentistry, we want our patients to enjoy great oral health and all the benefits of having a full, natural smile for the rest of their lives. Crowns serve an important role in allowing us to save damaged teeth. Our crowns are made from a fine quality porcelain material. We choose porcelain crowns because they are durable and can perfectly match the color and translucency of your natural teeth. Crowned teeth are almost completely indistinguishable from natural teeth, and you won’t have to worry about your peers noticing that you’re wearing a crown. Dental crowns can ease toothaches and prevent serious health problems. Each of our crowns is specifically tailored towards our patients and making sure that this crown will provide them with perfect occlusion. First you will have a brief consultation with Dr. McCormick. He will talk to you and explain your options, and give his recommendations for porcelain crowns. The two of you will discuss your smile and oral health related goals and determine if this placement is right for you. If you are in need of dental crowns, an appointment will be scheduled with the secretaries. During your first appointment, Dr. McCormick will clear the decay out of your tooth, and prepare the tooth for your crown. Once he has finished preparing your teeth, a temporary crown will be placed to wear until the permanent tooth crown is manufactured. 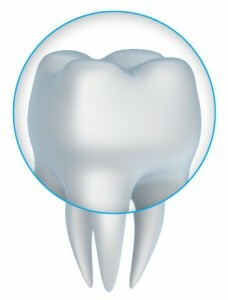 At your second appointment after the tooth crown has been created, Dr. McCormick will place it onto the prepared tooth. Once the crown is placed you will be able to leave the office with a full, beautiful smile, and all of your natural teeth completely intact. To find out more about our dental crowns in Bozeman and to schedule an appointment, contact our Bozeman dentist office near Belgrade MT today!